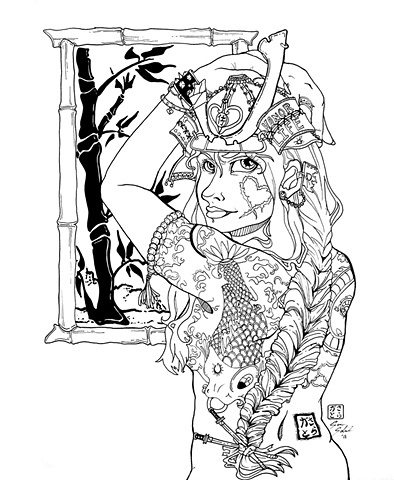 Black and white of an original character who is a female Samurai. I decided to modernize her with a bit of Yakuza flair since many of these Japanese gangs believe themselves to descend from the noble Samurai. I used references for both the helmet and the Yakuza-style tattoo.